Need something copied and cast. Our Copy & Cast program may be of help. We will make a rubber mold of most pendants, charms, or rings. We will then inject a wax pattern and cast it using your metal. The cost is $25 for the mold and $40 to set up a flask and cast your metal. $65 + $8.95 return shipping a total of $73.95. 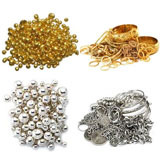 We can cast silver or gold but we do not cast any other metals. Please email us a picture of the item along with the weight of the item and the dimensions. We will let you know if the item can be duplicated and cast. Please do not send any materials in without making sure we can duplicate your item. 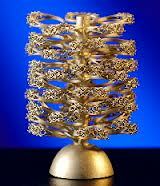 We will let you know if the item can be duplicated and also how much metal will be needed to make the casting for you. Email waxpatterns.com@gmail.com for more information. Thank you. We can cast your metal for you.